Welcome to the PokéCommunity Daily News Roundup for the week of March 13th, 2017! Read this every Monday to catch up on what is hip and happening in the Pokémon world, faster than forgetting HM05! This week: Nothing much actually, just some Japanese distribution announcements. Japan is finally getting Ash-Pikachu as a reward for pre-booking movie tickets. Anyone who gets me a Sinnoh hat one will be handsomely rewarded. The 4th Global Mission is ending today in Sun and Moon. You still need to set up Game Sync and actually record 3 BP for yourself if you want the bonus prizes, which we will be getting. The world can now download Mewtwo’s two Mega Stones, the Mewtwonite X and Mewtwonite Y, to their 7th Gen games. You must go to Mystery Gift and input the Serial Code M2DESCENT to claim your lovely party gift. This distribution has no stated end time. They currently can’t be used on Battle Spot, but that will be fixed soon. For those who joined the International Challenge February, your lovely participation prize of a Mawilite and a Beedrillite is now ready. Because it is SO HARD TO FIND (I spent a good 6ish hours looking for it), click this link to find your code (if you were in the competition). Those who didn’t participate get the privilege of patiently suffering for yet another month without the cutest Mega Evolution, but you will get it sometime in April. For now, these Mega Stones can only be used in unranked Battle Spot battles, but that will change the next time the Ranked season turns over on March 21st. Signups for the next PGL tournament, the Kanto x Alola Regional Rumble, are now open. In this event, trainers are only allowed to use Pokémon from the Kanto or Alola regional Pokédexes. Current intel says you will be allowed to use Pokémon brought in from other games, as well as the Kantonian forms of Pokémon that received Alolan forms. Mega Stones are still banned, but the participation prize is Mega Stones for Pidgeot and Steelix. The competition itself will run Friday-Sunday on the weekend of March 17th. A Shiny black Tapu Koko is coming to a bunch of stores that aren’t near you unless you live in Japan! Japanese players can start to collect a Lv60 Shiny Koko from March 12th to April 9th from a bunch of different places, including but not limited to Seven Eleven and the Pokémon Center stores. If you completed five GTS trades during the 3rd Global Mission, you can download five Rare Candies and a Friend Ball via serial code obtained from the Global Link (click on that to find your code if logged in) at any point between now and March 30th. Pokémon Bank customers can download a Mewnium Z to their 7th Gen games. This distribution runs until October 17th. Special stages! 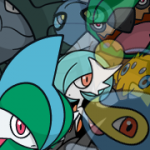 Greninja, the Lunar Duo (Darkrai and Cresselia) and the Lake Trio (Uxie, Mesprit, and Azelf) each have stages that stages go away on March 14th. There is a Safari featuring a winking Manaphy, an Amoongus stage, and a Palkia stage until the 21st. However, as of tomorrow these events will be limited to only people who have completed certain stages in the main game. In Japan, Episode 961 – “For Real?! Mallow’s Cooking Operation!” is expected to air on Thursday. There is sadly still no sign of the western Sun and Moon localization. Kostas, as usual, has also meticulously analyzed another Japanese episode. The inaugural PokéCommunity NCAA Bracket Challenge is taking signups until games begin Tuesday at Noon EDT (happy Daylight Savings Time, kids). In this wonderful event, you pick who you think wins each match in the NCAA Men’s Basketball Championship. Easy. You literally don’t need to know anything about basketball to participate, and I may have a Pokémon-related reward for the winner. Just pick based on mascots or something. Then laugh as Middle Tennessee or Florida Gulf Coast beats your team. Join up now! Rabinov’s Great Character Clash, a series of discussions comparing characters from different video games, will be entering its 9th week today. Look for the thread in the Video Games section of PokéCommunity! 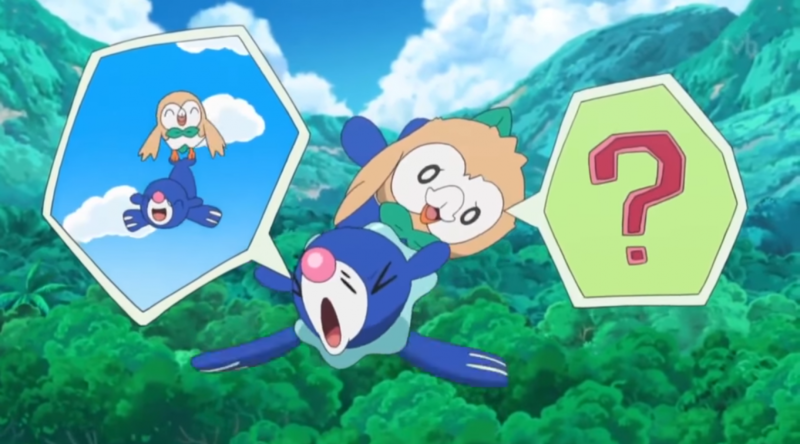 The voting for PokéCommunity’s favorite Pokémon move is still underway. The current discussions (which run until tomorrow) cover Ground-type and Rock-type moves. Click one of those types to get your move on to the appropriate thread! And that’s what’s going on in Pokémon this week! Questions, comments, complaints, updates, and anything we forgot should be placed in the comments so we can do something about them. See you same time next week! Previous PostAsh Hat Pikachu distribution confirmedNext PostFifth Sun and Moon Global Mission features Eggs!